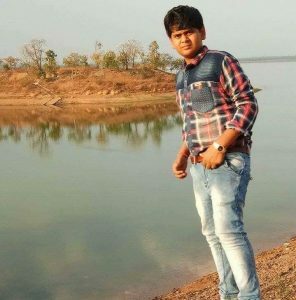 Odisha Chief Minister Naveen Patnaik on Tuesday asked Andhra Pradesh CM N. Chandrababu Naidu for a probe by a special agency into the death of Shreyash’s Death, a Sambalpur teenager, in Visakhapatanam. Shreyash Kesharwani, a student of Sri Chaitanya Junior College at Marikavalasa in Visakhapatnam city, was thrashed by a few college students that led to his death in January 2018. The Odisha Chief Minister spoke to Naidu on phone and urged for a probe so as to bring out the truth behind the 16-year-old Sambalpur teenager’s death. Earlier, the parents of Shreyas on Tuesday met the Chief Minister at the State Secretariat here. On December 26, Shreyas had allegedly received repeated blows to his chest, for which he received treatment first at Rourkela and then in Bhubaneswar. The boy left for home in Garposh in Sambalpur, citing ill health on December 29. But, he succumbed to injuries at a hospital in Bhubaneswar on January 6. The bereaved family claimed that the student succumbed to his injuries due to ragging by fellow students in the engineering college and that college authorities did not act on ragging complaints.